Bhutan Encompassed Tour is an excellent opportunity to explore Bhutanese art, architecture, culture, and tradition. 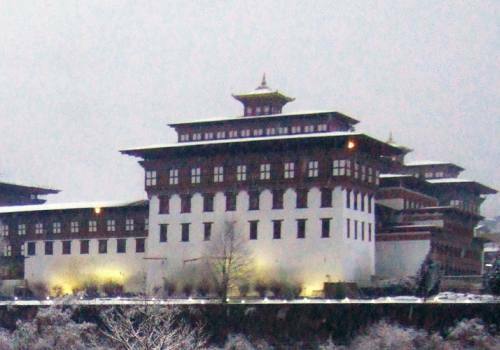 This tour encloses three major cities in Bhutan i.e. Thimpu, Paro, and Punakha. 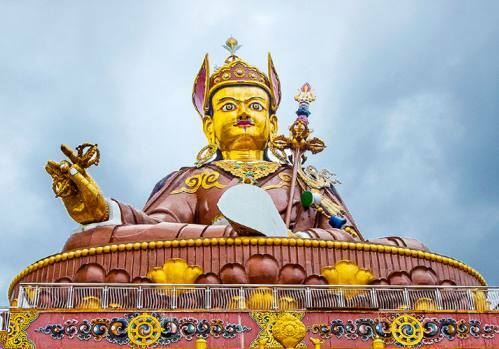 Thimpu provides a close encounter with ancient cultural and historical monasteries, shrines, and monuments. Paro offers colorful characteristics of Bhutan. And, Punakha contains old monasteries and offers a decent opportunity to absorb more about Buddhism. Punakha is the old and Thimpu is the new capital cities of Bhutan. The most interesting characteristic of this tour is the exploration of the Taktsang Monastery hanging in the upright cliff. This monastery is also popularly known as ‘Tiger’s Nest’. On the way of Thimphu to Punakha is the Dochula Pass at an elevation of 3,140 meters which provides amazing all-encompassing perspectives of the snow-topped mountains towards the north in a sunny morning. The view of Thimpu is perfectly observed from Buddha’s point in Thimpu. It gives the most beautiful view of this tiny capital. Likewise, Punakha Dzong, Kyichu-Lhakhang (oldest temple in Bhutan) are the most attractive and visited monasteries and shrines with their own cultural importance. The tour starts from Paro, then goes to Thimpu, then to Punakha, and again to Paro; hence Paro is the starting and ending point of this tour. 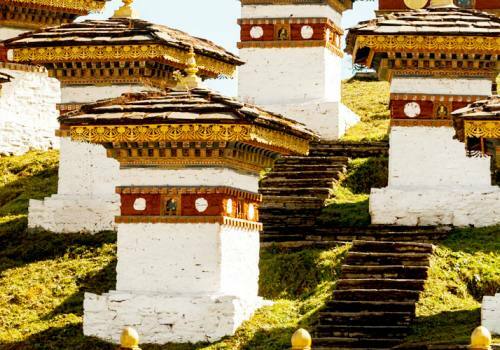 This tour encircling three primary cities is the perfect way to witness Bhutan and its pristine sights and sounds. Day 01:Arrive Paro (2250m) – Thimpu (2350m) Arrive Paro enjoying the flight through the highest mountain in the world and the lavish green Paro valley. The fresh and cool air of Bhutan welcomes its visitors as soon as you step down to its land. After the customs and VISA formalities, you meet your representatives and Bhutanese guide. You will be provided a short briefing about the tour. Then you will be transferred to Paro town for lunch and then drive to Thimpu, the capital city of Bhutan. You will reach Thimpu after 1 and a half hours of drive. On the way to Thimpu, you can perform short hikes to Tamchong monastery (a private temple owned by descendants of popular Tibetan bridge builder, Thangthong Gaylpo) and later on continue the drive towards Thimpu. 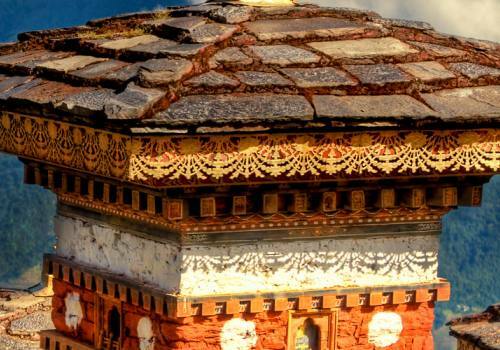 In Thimpu, you can visit Buddha point for gaining the splendid view of Thimpu city and Takin compound. On the transit to the viewpoint over Thimpu, there is the home of Bhutan’s national animal, the Takin. Then continue to Tashi Choe Dzong, Folk Heritage Museum, and Centenary Farmers Market. Tashi Choe Dzong is the fortress initially built in 1641 and rebuilt in the 1960s by the king Jigme Dorji Wangchuk, and Folk Heritage Museum is a 300-year-old house which was converted into the museum. Spend the night at the hotel. Day 02:Thimpu – Punakha (1310m) via Dochula La (3140m) After having early breakfast, we drive towards Punakha passing through Dochu La Pass (3140m) for about 3 hours. If the weather is clear, you will obtain a beautiful view of the Eastern Himalayas. From the pass, we more downhill and finally stop after reaching the extremely refined valley of Punakha. En-route, you can perform a short hike to Chimmi Lhakhang through the beautiful rice field. Chimmi Lhakhang is the temple devoted to Drukpa Kuenley (also known as ‘the Divine Madman’). In the afternoon, we will visit the most adorable dzong of the country, Punakha Dzong which is situated at the convergence point of Pho-chu (Male River) and Mo-chu (Female River). Day 03:Punakha – Paro (1150m) In this day, we have early breakfast and start moving from Punakha to Paro crossing the Dochula pass again. We stop at Thimpu for lunch. Arrival in Paro is followed by a short hike to 15th-century Zurig Lhakhang above Paro Dzong. It offers the beautiful view of Ta Dzong (watch tower) and Paro Rinpung Dzong (meaning: ‘the fortress of the heap of jewels’). Also, a quick descend arrives at covered cantilever bridge striking with giant stupas. Stay overnight at the hotel. Day 04:Paro – Taktsang Monastery Hike – Paro Starting in the early morning, we make an excursion to Taktshang monastery. 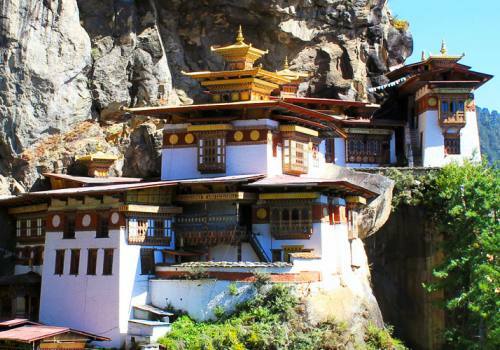 It is the monastery stung on the vertical cliff at an altitude of 2950m above sea level. It describes all engineering judgments. It takes around 2 and a half hours to reach the monastery. Pony ride can also be arranged to the monastery, but it will cost additional charge. Visiting Kyichu Lhakhang (one of the oldest temples in Bhutan) gives an outstanding opportunity to communicate with local people and know about their cultures and lifestyle. Stay overnight at the hotel. Day 05:Paro – Depart Today is the final day of your Bhutan Encompassed Trek. So, after having breakfast, you will leave this legendary Dragon Kingdom. 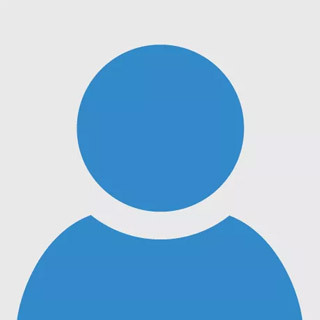 You representative will aid you in completing exit formalities. Then, you will fly back to your home with a final goodbye. Airport pick-ups and drop-off by private vehicle. 3-star settlement (4 and 5 stars may require an extra premium). Expenses occurred because of unavoidable events like road crashes, flight delays, etc. My friend and I were enthusiastic to visit Bhutan since our school days. Our academic course includes about Bhutan. While reading that topic we made a plan to visit Bhutan once in our life. As we grew up our wish to visit Bhutan grows even greater. We had no idea about from where we can go Bhutan then our parents suggest us to contact Nepal Trek Adventure and Expedition. Then we contacted them and they suggest us to select Bhutan Encompassed Tour and we were able to make our dream came true. Nepal Trek Adventure and Expedition helped us a lot and the guide we met was very helpful. We visited Paro, Thimphu, Punakha, Jigme Dorji National Park, and many other breathtaking places. The trip was unforgettable and we are really thankful to Nepal Trek Adventure and Expedition to arrange this trip. Wow, was für ein großartiger Ort IST Bhutan. Die Leute haben es früher schön, liebenswert und viele Spitznamen genannt. Aber ich glaubte ihnen nicht, bis ich es allein sah. 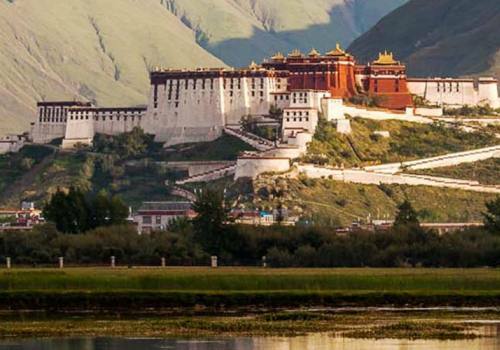 Ich machte eine umfassende Tour nach Bhutan, die drei große Städte Bhutans wie Paro, Thimpu und Punakha umfasste. Die Klöster, Pässe, die Landschaft und die zuvorkommende Bevölkerung waren einfach unglaublich. Diese Reise hat gerade mein Leben mit seiner immergrünen natürlichen, historischen und künstlerischen Schönheit geprägt. Pagodenartige Tempel und Grafschaften verleihen der Schönheit zusätzlich Glanz. Wenn ich die Chance bekomme, werde ich in meinem Leben noch einmal dorthin reisen. Vielen Dank auch an Nepal Trek Adventure und das dazugehörige Team, dass Sie während der gesamten Reise ein hervorragender Begleiter sind. The best period to visit Bhutan is amid spring (March-May) and harvest time (September – November.) Expect dry yet warm climate, ecstatic however crisp amid mornings and evening time. January – February: Expect clear blue skies amid the day, you will see snow in the mountain goes between valleys. There's could be uncommon snow in the valleys where the towns are situated amid January and February. Day temperatures float about 11°C to 12°C amid the day and - 5°C to 0°C around evening time. March-May: Best time to visit with temperature running from 24°C to 27°C, around evening time it can drop to 18°C. June – August: Expect some downpour yet more often than not the downpour is a light shower for an hour or two toward the evening. The temperature goes between 27°C to 15°C at day and night. September – December: Very great time to visit too. Expect European pre-winter climate and fewer downpours than mid-year. The temperature extends between 22°C to 10°C at day and night. You can stay in the hotel according to your assortment either in luxurious or customary. Price will differ according to your choice. You can enjoy lip-smacking delicious either veg or non-veg item. You can also taste varieties of chicken, mushroom. Momos and noodles are also included in the menu. Unique and most preferred the beverage is Yak butter tea which is available in every city of the country. Anti-malaria vaccination and tablets are highly prescribed for visitors to Bhutan. It would be better if you consult the physician before visiting Bhutan. The individual is legalized to take along certain assortments like intoxicating brew (1 liter). If you have a habit of smoking then you are permitted to bring cigarettes (only 200 pieces) or tobacco (3 can each of 50 g) with 100% tax. Weapons and ammo are not allowable to import/export. Apart from medical prescriptions, any kind of drugs is not allowed. Flora and fauna and endangered species are not allowed to export from Bhutan. Don’t drink water directly from the tap. Be careful about the rules of Bhutan. Mineral water available in lodges is preferred. Be careful about your dress. Don’t wear short clothes, your dress should cover the shoulder and knee. Don’t bring Chocolates and gift for Bhutanese children because of Bhutanese government provokes children to avoid begging culture. To acquire Visa for Bhutan, you must contact to authorized and permitted travel and Tour Company for all Visa application process. Certified local Tour Company is mandatory for all process for Visitors to Bhutan. All foreigners (with the exception of residents of Bangladesh, India, and Maldives) must acquire a visa before visiting Bhutan. Solo travel for women is strictly prohibited. Guides or supervisors are highly endorsed for women travelers.